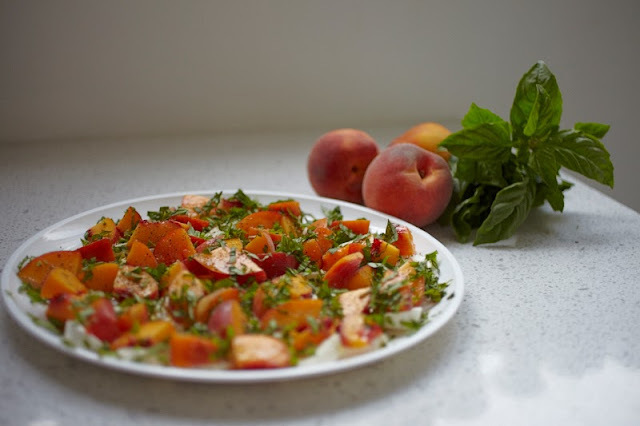 A fresh summer twist on the classic Insalata Caprese, she replaces the tomatoes with ripe yellow peaches - although nectarines, strawberries or even figs might make for other tempting combinations. 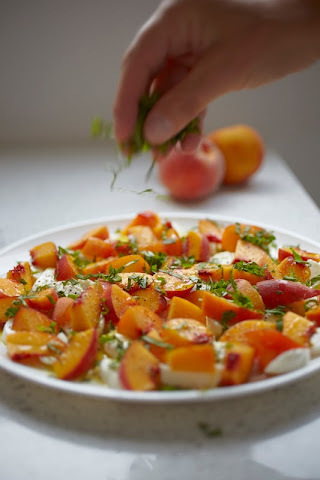 It's become one of my favorite summer appetizers, quick to prep - and just getting better when prepped ahead of time for an extra mingling of sweet and savory flavors. 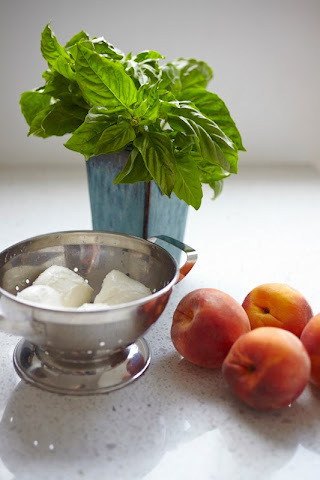 Cut the mozzarella balls into small chunks, quarter and half the peaches and arrange all on a large serving platter. 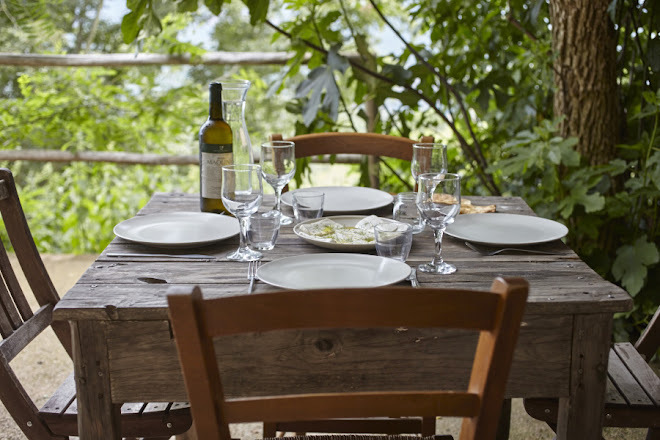 Season generously with salt and freshly ground pepper, drizzle with olive oil and sprinkle with the chopped basil leaves .... Buon appetito!